Memorial Day is Monday, May 29. Below are picks chosen by PRX editorial staff. You can see all Memorial Day pieces by using our search. An objective, entertaining, and respectful music/sound chronicle of America’s war history starting with the Civil War, which spurred the eventual creation of Memorial Day. Highlighted by music of the Civil War, Spanish-American War, World Wars I & II, Korea, Vietnam, and the Persian Gulf, touching also on Bosnia, Iraq, and Afghanistan. It documents our country’s strife over our entry into some wars, but respectfully acknowledges the hardships of combat, and honors our fighting men and women who have given the ultimate. You’ll witness moments of entertainment and nostalgia with the U.S. Air Force Band, The Navy Band and Country Current, the BBC Orchestra & Royal Air Force Band, the Glenn Miller Orchestra, Canadian Brass, Bette Midler; Crosby, Stills, Nash & Young; Mitch Miller; Steppenwolf; Joan Baez; Jefferson Airplane; plus music from top Broadway shows such as The King & I, Bloomer Girls, Hair, Phantom of the Opera, and songs from talented unknowns. You'll hear the heartfelt remembrances of Army and Air Force veterans, including Generals Norman Schwarzkopf and Colin Powell, and the voices of Presidents Roosevelt, Eisenhower, George H. W. Bush, Clinton, and Obama. We've Never Been The Same: A War Story is the story of one night of battle and the decades of recovery that followed. Produced by Adam Piore and Jay Allison. All wars are the same, it is said; only the scenery changes. And the repercussions are pretty much the same too. Over the course of five years, Adam Piore gathered the stories of the surviving members of Delta Company, a Vietnam-era paratrooper unit; Jay Allison joined him for the last two years when it turned from a book into a radio story. We’re proud now to feature the finished hour on Transom and here at PRX. At Fort Campbell before deployment, Delta was a ragtag bunch, the “leftovers” as one of their fellow soldiers put it, but on the night of March 18th, 1968, they became heroes. Their leader received the Medal of Honor and two others were awarded the nation’s second highest honor, the Distinguished Service Cross, for their valor that night when the company endured a long and devastating battle—not as long or as devastating, however, as the years that followed, after the men of Delta Company came home separately to live alone with the memories. Adam Piore became dedicated to this group of guys and to their common story of trauma, guilt, courage, heartbreak, and reunion. This is Adam’s first work for radio and his notes about the transition from print are at Transom. You’re invited to come talk with him about his process or the finished work and to see archival photos. Transom.org channels new work and voices to public radio, with a focus on the power of story, and on the mission of public media in a changing media environment. Transom won the first Peabody Award ever granted exclusively to a website. Transom.org is a project of Atlantic Public Media which runs the Transom Story Workshops and founded WCAI, the public radio station in Woods Hole, Mass. This is a country awash in monuments. They adorn traffic circles, street corners and, of course, the National Mall. In this special Memorial Day episode of BackStory, the American History Guys explore the idea of national remembrance. What or whom have Americans chosen to memorialize? And what do these choices say about us? This is a country awash in monuments. They adorn traffic circles, street corners and, of course, the National Mall. We’ve memorialized everything from famous soldiers and statesmen, to big ideas or major events – and a lot in between. Yet our ambivalence towards these monuments is as old as our enthusiasm for them. Case in point: The Washington Monument. Ever wonder why there isn’t actually a image of Washington on it? In this Memorial Day episode of BackStory , we explore the idea of national remembrance. Looking at some of our country’s most iconic monuments, the Guys ask what—and whom—Americans choose to remember, and discover how memorials often tell us more about their creators than what or whom they memorialize. Kirk Savage , Professor of Art and Architecture at the University of Pittsburgh on the early controversy over whether or not to build the Washington Monument on the National Mall. Kristin Szakos , City Council Member in Charlottesville, Virginia, on two local monuments to famous Confederate generals. Teresa Bergman , Professor of Communications and Film Studies at the University of the Pacific, on the evolving film presentations the National Park Service has used to welcome tourists at Mount Rushmore. A special revisiting Steinbeck's iconic book, Travels with Charley, and journeying into today's America through the eyes of contemporary artists. Visit Sag Harbor, N.Y.; New Orleans; North Dakota; Spokane, Wash.; Humboldt County, Cal., and Monterey, Cal. Produced by John Biewen of CDS and hosted by Al Letson of State of the Re:Union. "As starkly moving as taps at dusk" says the Washington Post about BEYOND GLORY, a powerful tribute to military valor written and performed by stage and screen star Stephen Lang (Colonel Quaritch in Avatar). He portrays three recipients of the MEDAL OF HONOR recounting in their own words the incident that earned them the United States' highest military honor ..
"As starkly moving as taps at dusk" says the Washington Post about Beyond Glory, a powerful tribute to military valor written and performed by stage and screen star Stephen Lang (Colonel Quaritch in Avatar). He portrays three recipients of the MEDAL OF HONOR recounting in their own words the incident that earned them the United States' highest military honor for valor beyond the call of duty. These three stories of Nick Bacon, First Sergeant, US Army, Vietnam; Clarence Sasser, combat medic, Vietnam; and Hector Cafferata, Private First Class, 1st Marine Division, Korea are based on their own words. They are portraits from Stephen Lang's one-man show, Beyond Glory, based on the book by Larry Smith of the same title. Each segment is followed by conversation between Mr. Lang and Playing on Air's producer and host, Claudia Catania. 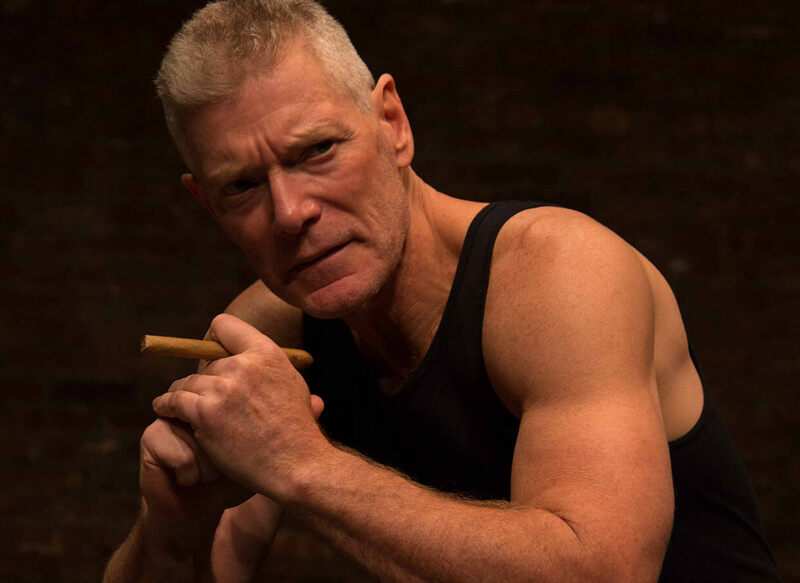 "As starkly moving as taps at dusk" says the Washington Post about BEYOND GLORY, a powerful tribute to military valor written and performed by stage and screen star Stephen Lang (Colonel Quaritch in Avatar). In BEYOND GLORY, Part 2 he portrays three more recipients of the MEDAL OF HONOR recounting in their own words the incident that earned them the United States' highest military honor for valor beyond the call of duty. The first short of BEYOND GLORY, Part 2 is JOHN WILLIAM FINN. Chief Petty Officer Finn was stationed at Naval Base Kaneohe Bay on the morning of Sunday, December 7, 1941, when Pearl Harbor was attacked by the Japanese. He manned a machine gun from an exposed position for the duration of the attack. This is John Finn's own account of that morning adapted by Stephen Lang who also performs the role of John William Finn. The second short play is VERNON BAKER AND DANIEL INOUYE. First Lieutenant Vernon Baker received the Medal of Honor for his actions during World War II, April 1945, near Viareggio, in Tuscany, Italy and Captain Daniel Inouye (who later became the long-serving US Senator from Hawaii) was grievously wounded while leading an assault on a heavily-defended ridge near San Terenzo, also in Tuscany in April of 1945. They both experienced racism in the armed forces during WWII and recount that as well as the incidents that earned them the Medal of Honor many years later. 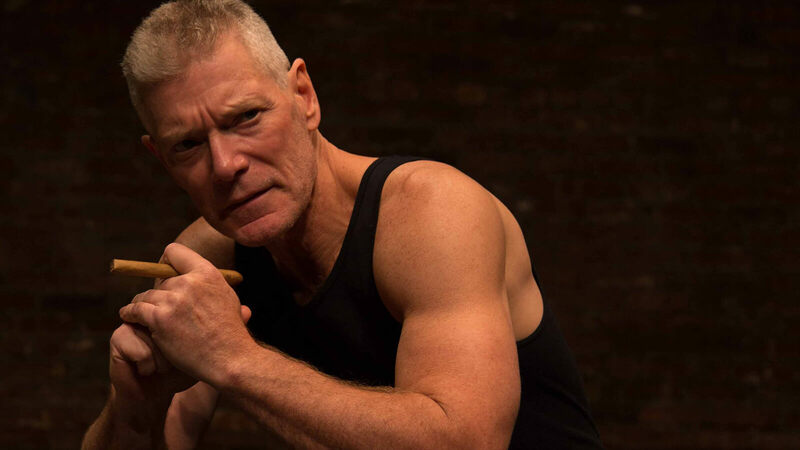 Adapted and performed by stage and film actor, Stephen Lang, you will hear three gripping stories of valor all portrayed by one of America's finest actors, Stephen Lang. Each segment is followed by conversation between Mr. Lang and Playing on Air's producer and host, Claudia Catania. You can hear more short plays about Medal of Honor recipients in BEYOND GLORY adapted and performed by Stephen Lang. BEYOND GLORY and BEYOND GLORY, Part 2 can stand alone or be aired together. Beyond Glory Part 1 can be found here. Norman Corwin is widely acclaimed as one of the greatest writer–director–producer's of radio's Golden Age. Radio educator, Tony Palermo, says that not knowing Corwin's work is like never having heard of Shakespeare. Producer Katy Sewall sat down with Norman Corwin right after his 100th birthday and brings you this sound-rich exploration of his work and influence. Includes references to his experiences with producing radio during World War II -- a good match for Memorial Day. Radio's Golden Age is over, but many names from that era are still famous today. You probably know Jack Benny and Orson Wells, but are you familiar with Norman Corwin? Norman Corwin is widely acclaimed as one of the greatest writer–director–producer's of radio's Golden Age. Radio educator Tony Palermo says that not knowing Corwin's work is like never having heard of Shakespeare. In this special, get to know Corwin's work, and how his writing shaped the way citizens of the United States felt about World War II. 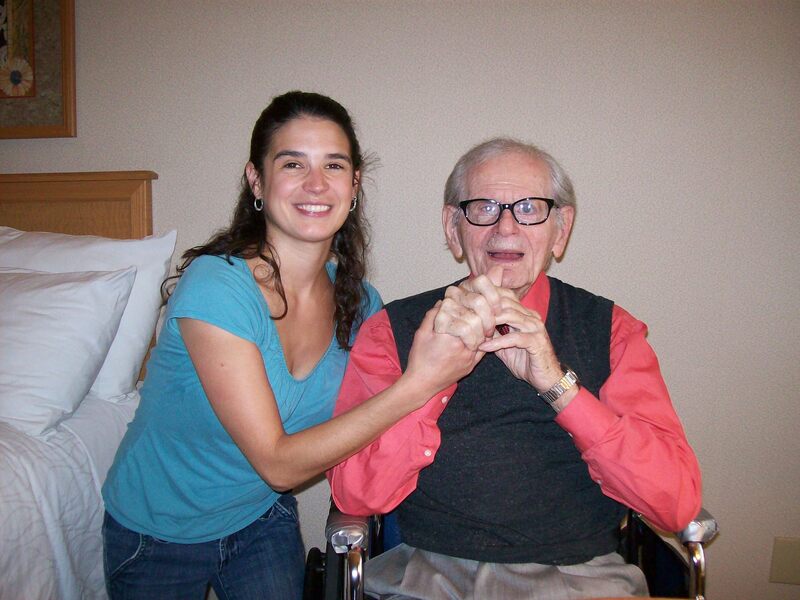 Producer Katy Sewall sat down with Norman Corwin right after his 100th birthday. For Memorial Day, the voices of veterans remembering their comrades. We talk with troops returning from Iraq and Afghanistan, reading their emails, poems, and journals, as part of the NEA project: "." We hear interviews from StoryCorps, an essay from This I Believe, and the sounds of a Military Honor Guard, recorded by Charles Lane. And we attend the daily "Last Post" ceremony by Belgian veterans honoring the WWI British soldiers who died defending a small town in western Belgium (produced by Marjorie Van Halteren). At War in the Pacific tells the story of heroism and sacrifice by the young Marines who stormed onto the islands and fought from inside the foxholes in the bloody Pacific Campaign of World War II. David D'Arcy hosts this compelling radio hour featuring personal testimony from the Marines and historical context from scholars. We hear how the Marines came of age during weeks and months of searing combat -- and how their sacrifices shaped the history of our nation. As the conflict unfolds in the Pacific, friends and relatives tell how they shouldered the burden back home. Filmmakers Steven Spielberg and actor Tom Hanks offer their views on what the war in the Pacific meant -- then and now. Months after the surprise attack on Pearl Harbor, marines launch their first amphibious attack on Japanese forces holding the island of Guadalcanal. The riveting story is told by marines Sydney Phillips and Robert Leckie, and historians Richard Frank and Donald Miller. Module 2: “Tarawa and Peleliu"
In fierce island fighting on Tarawa and Peleliu, the marines secure vital airfields and confront Japanese soldiers committed to “no surrender.” Marine Eugene Sledge and historian Donald Miller detail the jungle warfare, sacrifice and survival. The horrors of the “forgotten war” in the Pacific are sanitized by Hollywood, the U.S. government and tours of returning war heroes like John Basilone. But the American public faces reality from photojournalists on the scene, and Basilone’s return to duty – and death – at Iwo Jima. The Pacific fighting escalates with kamikaze attacks at Okinawa, and in August of 1945, the atomic bombing of Hiroshima and Nagasaki. As we learn from marines Robert Leckie, R.V. Burgin and historian Donald Miller, the men who came of age in the brutal battles of the Pacific discover a longer and perhaps more difficult challenge ahead: adjustment to life back home. This week on The Score with Edmund Stone, The American Civil War. This week on The Score with Edmund Stone, The American Civil War. The heartbreak and valor of the American Civil War has inspired filmmakers and film composers since the earliest days of cinema. Join us for music from films about the War Between the States, including Cold Mountain and Glory on the next edition of The Score. Tom Brokaw and others discuss memorials, veterans, Vietnam and wars. LINER NOTES, in an extraordinary hour entitled War and Place, Tom Brokaw and others discuss Memorials, Veterans, Vietnam and Wars. * Tom Brokaw, shares memories of his moving visits to Normandy and Pearl Harbor - how they changed his life, and enabled him to understand the great sacrifices of ordinary people, from hometowns like his. * Writer Maxine Hong Kingston helps Veterans put their memories on paper with "healing and writing workshops." * Distinguished novelist Robert Stone, ("Dog Soliders") discusses the cultural legacy of Vietnam. * Former Marine Wayne Karlin author of "War Movies: Journeys to Vietnam", shares stories about soldier/authors on both sides of that conflict and discusses how the picture of war in the movies has evolved over the years. * Writer Dana Sachs, ("A House on Dream Street") portrays the new Vietnam - a tourist mecca with fine food and beaches. She counsels us on where to travel and explains why Americans are surprisingly welcome. * Photographer Steve McCurry tells of his famous photo "Afghan Girl," and what he finds when he travels to war zones. * Psychoanalyst Emmanuel Kalftal takes a tape recorder with him as he travels to the place his parents met, Dachau, where he finds a living memorial, not a museum. * Michael Arad, architect of the prize-wining design for the 9/11 memorial at the former World Trade Center, helps us think about the power of place in mourning. * Phillip Gourevitch, editor of the Paris Review, who wrote "We Wish to Inform You That Tomorrow We Will Be Killed With Our Familes", reflects on those who suffered through the ethnic conflicts in Africa. * Reporter Deborah George takes us to post war Sierra Leone to meet a young woman who will become her daughter. * Finally, we travel to a small town in Cornwall, England where a young evacuee from the London blitz, now 80, found a peaceful home for life. Nearly 40 public radio producers from around the world lend their voices to a roll call of just some of the names of casualties from the wars in Iraq and Afghanistan in a program being made available to U.S. public radio stations for use on or around Memorial Day. Nearly 40 public radio producers from around the world lend their voices to a roll call of just some of the names of casualties from the wars in Iraq and Afghanistan in a program being made available to U.S. public radio stations for use on or around Memorial Day. TAKEN TOO SOON: THE COST OF WAR is produced by Paul Ingles, of the non-profit media organization called Good Radio Shows, Inc. The program features some of the names and circumstances of the deaths of coalition forces, Iraqi and Afghan civilians, contractors and journalists killed since the fighting began in Afghanistan in October of 2001. "I don't think there's been a program like this that has acknowledged the loss of life among civilians, contractors and journalists along side of military casualties," says Ingles. "I just felt it was important that people marking Memorial Day in the U.S. take a moment to contemplate a roll call that goes beyond just our own country's loss. All most Americans have heard is that 15, 8, 30 Iraqis died in a certain incident on a given day. These people had names and families just like the men and women of our armed forces. It seems appropriate to me to read some of their names." The hour long program will contain about 135 names meant to represent the various casualty constituencies. A soldier from each state in the U.S. is included. Nearly 40 public radio producers and reporters from around the world volunteered their time to voice part of the list. Ingles used Defense Department information for the names of coalition casualties. Civilian, contractor and journalist names were drawn from press reports and websites devoted to tracking those deaths. This program is offered in 59:00, 54:00 (newscast ready) and 29:00 lengths. 59 + 54 min shows have two one-minute breaks. Also 8 5-minute modules of the roll call are offered to stations wanting to spread them throughtout the day. ADVISORY: Though not explicit, the program does include some details of the cause of death of those listed. Some stations might find such an advisory appropriate depending on what time of day the program is broadcast. This program visits with five families of veterans wounded by IEDs in Iraq and Afghanistan. The families are coping with the aftermath of traumatic brain injuries (TBI) and post traumatic stress (PTSD). This program visits with five families of veterans wounded by IEDs in Iraq and Afghanistan. The families are coping with the aftermath of traumatic brain injuries (TBI) and post traumatic stress (PTSD). This special breaks new ground by focusing on the parents, especially mothers, who have given up everything -- their jobs, retirement savings, and plans for the future - to step in and care for their sons. This issue has not gotten the attention is deserves. In the coming years, as additional tens of thousands of injured veterans return home, overburdened parents will respond with love and support, but the rest of us need to become aware of this urgent problem and help our government develop comprehensive solutions. The radio special is part of a first ever effort by AARP, drawing together print, video, audio, and the Web, and providing extensive listings of resources that affected families can use, and places where others can offer help. Every part of this project will be accessible through a central URL: aarp.org/iraqvets (live on May 21st) Our radio special was written and produced by AARP's Steve Mencher, with Barry Yeoman, who traveled around the United States and did the reporting for the special and for an investigative piece in AARP The Magazine. You may remember Barry from our very successful Hurricane Katrina special last fall. Music by Terence Blanchard, Nine Inch Nails, Aaron Parks, and Kimo Williams. Profiles of poet George Evans, a veteran medic, and Lynda Van Devanter, whose experiences as Vietnam nurse inspired China Beach. Warning: Graphic Depictions of Medical Operations. Profiles of Vietnam Veteran medic and poet George Evans, who beat a court martial, and veteran nurse Lynda Van Devanter, whose controversial writings inspired the television series "China Beach." Includes interviews with George from his trip with Marc Steiner and two other Veterans, who travelled to Vietnam on the occasion of the thirtieth anniversary of the fall of Saigon. He talks of his passive resistance to orders as a protest to the war, and his court martial trial, which he won. Also included is a recording of Lynda Van Devanter, whose book Home Before Morning:The Story of an Army Nurse in Vietnam, first published in 1983, was the inspiration for the television series "China Beach." Lynda passed away in 2002, and this is the only known recording of her describing her experiences and reading passages from her work. Lynda's writings were first created to deal with her post traumatic stress syndrome, and once published, created controversy among the nurses who served, who either cheered her candidness, or loathed her for painting a negative picture of the nurses and doctors who served. She was also an advocate and founding executive director of the Women's Project of the Vietnam Veterans of America from 1979 to 1984, testifying before Congress and other government agencies on behalf of the 7,465 women Vietnam veterans. To quote author Wayne Karlin, who knew Lynda: "Many of us loved her. Many others hated her. But they didn?t matter. She was a truth-teller and those who hated her were threatened by the truth she had to tell." WARNING: Please be advised the the following program has graphic depictions of the wounded and their medical treatment, and language that some may find objectionable. This program pays tribute to America's fighting men and women through first-hand accounts of battle, as well as music and poetry that draw inspiration from the experience of war. For Memorial Day —a portrait of life on the homefront during World War II featuring 4 women’s stories, rare home recorded letters sent overseas to soldiers, archival audio, music and news broadcasts from the era. In 2002, on the eve of being deployed to Iraq, men and women of the Third Infantry Brigade, the first ground troops to be sent to the Persian Gulf, open their hearts and minds in a way not often heard on the media. Four married couples frankly discuss moral issues, infidelity, and sexual harassment as well as the topics more commonly broached by reporters. Two combat veterans among them tell of their experiences in Iraq and Afghanistan. The result is a candid and intimate portrait of professional soldiers trying to combine the disparate worlds of love and war. On the eve of being deployed to Iraq, men and women of the Third Infantry Brigade, the first ground troops to be sent to the Persian Gulf, open their hearts and minds in a way not often heard on the media. Four married couples frankly discuss moral issues, infidelity, and sexual harassment as well as the topics more commonly broached by reporters. Two combat veterans among them tell of their experiences in Iraq and Afghanistan. The result is a candid and intimate portrait of professional soldiers trying to combine the disparate worlds of love and war. Distributed nationally in 2004 by PRI. It's been 40 years since the very first POW-MIA bracelet was made and distributed. The iconic bracelets had a humble beginning at the height of the Vietnam War. This documentary focuses on the lasting impact of those bracelets told through the story of one U.S. Air Force pilot, Major Stanley Horne. In 1968 his fighter bomber was shot down over North Vietnam and his name was then engraved, like so many others classified as POW or MIA, on metal bracelets distributed to millions. The bracelets were first released in November, 1970. The documentary is available at :29:17 length, at 20:20 length, and as three separate installments. In January of 1968 U.S. Air Force Major Stanley Horne was listed as missing-in-action (MIA) after his fighter-bomber was shot down over North Vietnam. Soon afterward his name was one of the many engraved on a POW-MIA bracelet. His story and the stories of those who wore his bracelet, not only contribute to the narrative of the impact of those bracelets, but also to the story of how America struggled with the war and tried to heal from the scars it left behind. The POW-MIA bracelets of the Vietnam War era made a lasting impression on all those who wore them. Millions of bracelets with the name of a missing or imprisoned soldier were worn on the wrists of family, friends, supporters and critics of the war. It may have been the only item - the only common bond - that crossed the tumultuous political divide. BRACELETS OF GRACE: The Vietnam War Story of Major Stanley Horne includes audio from the personal tapes sent back and forth between Southeast Asia and Major Horne’s family in Madison, Wisconsin. It also includes recollections from the young California college students who originated the bracelets, those who wore Major Horne’s bracelet, and those who wrote hundred of letters to the Horne family until the major’s remains were finally recovered in April, 1990, 22 years after his plane was shot down. November 11, 2010 is Veterans Day and the 40th anniversary of the POW-MIA bracelets of the Vietnam War. The documentary is available to broadcast in its entirety or in three installments. How war influences identity and memory in both the individual and the national sense. From Radio Netherlands. In Europe the signs of remembrance of war is everywhere. Fields in France Belgium and the Netherlands are still turning up traces of the untold numbers of war dead. In this program, Prof Jay Winter from Yale University and 3 war veterans talk of how war has shaped individual and national identity and how different wars are remembered in the collective memory. "Mothers and Sons" is a double portrait of the German sculptor Kathe Kollwitz (1867-1945), who created "The Grieving Parents," a moving memorial to her son who died in WWI, and the contemporary German-American sculptor Suse Lowenstein, who created an equally monumental work to honor her son, a victim in the 1988 Lockerbie disaster. From Marjorie Van Halteren. Vince Gabriel is a Vietnam veteran who has written an album of songs chronicling his experience of the war. He takes listeners back to 1968, to the jungle of Vietnam. Vince Gabriel is a Maine-based blues musician who's written an album of songs chronicling his experience in the Vietnam war. In the documentary, Vince takes listeners chronologically through his time in Vietnam, with his music leading us into stories about getting drafted, arriving in the jungle, what combat was like, the loss of his closest friend, the relief of finally returning home and his reflections on the legacy of Vietnam today. While news reports about the war in Iraq tend to focus on numbers and strategy, Vince's stories give listeners an almost visceral sense of what it's like for those on the front lines. Though it is an account of a war that took place years ago, the current situation in Iraq make Vince's observations feel disturbingly immediate and poignant. 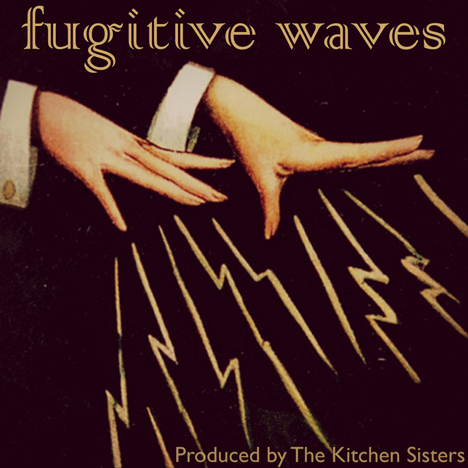 This piece aired nationally on the documentary program "Soundprint" in late January 2005. 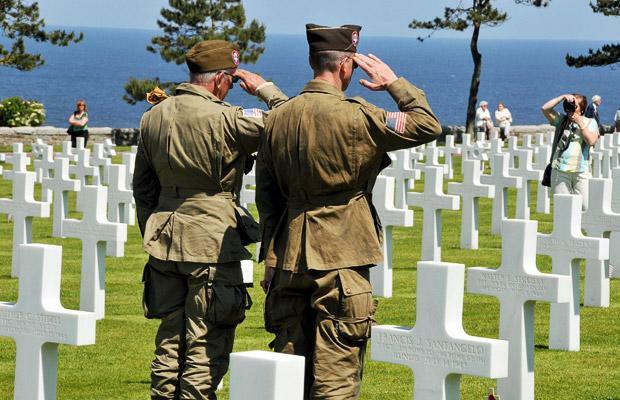 To honor the young men who sacrificed their lives in the D-Day invasion, Brigadier General Casey Brower takes young cadets on tours of the American cemeteries in France. When President Ronald Reagan traveled to Normandy in 1984 to mark the 40th anniversary of the D-Day invasion, a young army officer, Casey Brower, was with him and was deeply moved. Casey is now Brigadier General Casey Brower and takes cadets from Virginia Military Institute on tours of the American cemeteries for the fallen soldiers in France. The cadets are of the same age as many of the young men who made the sacrifice in the D-Day assault. Also featured: The Great Kanto Earthquake struck Japan in 1923 and killed more than 100,000 people. In the chaos after the disaster rumors circulated that led hysterical Japanese vigilantes to lynch thousands of Korean and Chinese guest workers. Eric Han explores how modern Japan’s reaction to the recent earthquake reflects how that nation has changed in the intervening decades. Reporter Aaron Glantz takes us inside the war as it comes home to our communities. We focus on the role educational institutions can play in helping former soldiers adjust to civilian life. Nearly two million Americans have fought in the wars in Iraq and Afghanistan. On this edition, reporter Aaron Glantz takes us inside the war as it comes home to our communities, with a focus on the special role our educational institutions can play in helping former soldiers adjust to civilian life. In 1966, a young marine took a reel-to reel tape recorder with him into the Vietnam War. For two months, until he was killed in action, Michael Baronowski made tapes of his friends, of life in fighting holes, of combat. 34 years later, his comrade Tim Duffie brought Baronowski's three-inch reels to Lost & Found Sound. A powerful remembrance of the preparation, execution, and aftermath of Operation Overlord, June 6, 1944. For broadcast anytime from Memorial Day Weekend through June 6th. Hear first-hand remembrances of servicemen as they tell of the effort and sacrifice of their comrades, plus the voices of General Eisenhower and the BBC, and unusual facts about the strategies of the armed forces on both sides of the conflict, all dramatically highlighted by music, SFX, and radio poet-laureate Norwin Corwin's "On A Note of Triumph." This is the story of a woman, Jennie Hodgers, who posed as a man during the entire Civil War and went on to live most of her life as a man in the tiny town of Saunemin, Illinois. Through the years the town has been ambivalent about their most famous citizen and has struggled to figure out what to do with her old house. From Linda Paul with Jay Allison. The non-bearded soldier in this picture was known to her comrades as Albert Cashier. But she was born in Ireland on Christmas Day of 1843 as Jennie Hodgers. This is the story of a woman who posed as a man during the Civil War and went on to live most of her life as a man in the tiny town of Saunemin, Illinois. Through the years the town has been ambivalent about their most famous citizen & has struggled to figure out what to do with her old house. Memorial Day, a national holiday of remembrance, was first celebrated south of the Mason/Dixon line in Petersburg, Virginia at Blandford Church Cemetery. It’s about as American as apple pie. The official kickoff of the long summer. As American as a cookout with hot dogs and hamburgers. Almost as American as Independence Day. But where July 4th commemorates our victory over the British, Memorial Day, as it was first observed, remembered the dead of the Civil War. And there were a lot of them to be remembered. Upward of 600,000. Back then it wasn’t even called Memorial Day. It was known as Decoration Day. In the North, at any rate. It was the idea, so the story goes, of the commander of the Grand Army of the Republic—General John Logan. On May 5 1868 Logan, in General Order Number 11, proclaimed May 30 as a national day of remembrance. Flowers were placed on the graves of Union and Confederate soldiers interred at Arlington National Cemetery. In fact the first Memorial Day was observed a hundred and twenty-seven miles south of Arlington just below the capital of the former confederacy. In a country graveyard in a city built along the bluffs and hills overlooking the Appomattox River. A small city called Petersburg. This is the story of Dereyk Patterson, a man trying to repatriate the bones of a Viet Cong soldier that were stolen by his father during the Vietnam War. Dereyk's father, Steve Patterson, died in a helicopter accident, leaving the remains behind in his garage. This is the story of Dereyk Patterson, a man trying to repatriate the bones of a Viet Cong soldier -- stolen by his father during the Vietnam War. Dereyk's father, Steve Patterson, died last year in a helicopter accident, leaving the remains behind in his garage. As Dereyk tries to do the right thing, he also tries to come to terms with his own stormy relationship with his father, and to understand what would drive a young man to take such a morbid "souvenir" in the first place. This piece first ran on WFCR in Amherst, MA in June of 2003. It also ran on WNPR in Hartford, Connecticut, and WAMC in Albany, NY. It won a Massachusetts Associated Press Award in 2004. NOTE: Programmers can edit out the introduction, and the station-specific outcue. World War II was raging; Kathleen Barrett Price's brother had been killed. But, doing what the Irish do best, the family found solace in song and laughter. They hosted parties in the basement space beneath their grocery store and tavern in north St Louis. Over the course of three years, she and her sister Mary Hohmann captured the warmth and hilarity of these gatherings. From Susan Barrett Price. Kathleen Barrett Price tells her story of recording voices during the 1940s. In figuring out how to use a Wilcox-Gay Recordio home disk recorder, Kathleen not only managed to preserve her youthful memories, but also captured the vibe of a special time and place. 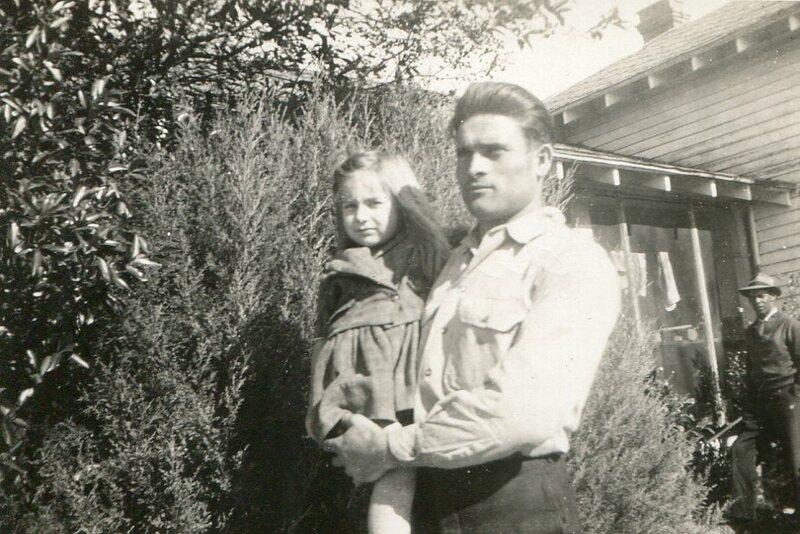 World War II was raging; her brother had been killed. But, doing what the Irish do best, the family found solace in song and laughter. In the basement space beneath the family's grocery store and tavern in north St Louis, they hosted parties. Over the course of three years, Kathleen and her sister Mary Hohmann set up the machine to capture the warmth and hilarity of these gatherings. The results form the crowded "memoryscape" that accompanies her reflections here. How do you thank someone who saves you from tragedy? This Vietnam veteran knows. In these economic times, it’s hard to think of “debt” as anything other than financial. But there’s another kind of debt we can take on and repay: one of gratitude. Rebecca Sheir introduces us to a Vietnam veteran who’s been repaying that very debt... for nearly half a century. It’s been less than a year since “Don’t Ask, Don’t Tell” was repealed, and soon, gays and lesbians can come out – or go in – to the military without fear of losing their careers. For many, the battle to allow gay and lesbian soldiers to serve openly was the end of a long journey, and a momentous victory for civil rights. Reporter Priscilla Yuki Wilson has more. The U.S. military is changing. “Don’t Ask, Don’t Tell” has been repealed, more women are serving, and the structure of military families is changing. More than 700,000 U.S. children now have a parent who is deployed in the military. Last year, Oakland resident Alexis Hutchinson made headlines when she refused to go to Afghanistan, saying she couldn’t find adequate childcare for her then-10-month-old child. She received an “other than honorable” discharge from the military. The Department of Defense estimates that there are more than 70,000 single parents on active duty. That represents only about 5% of service members, but the consequences of their deployment are complicated. Vilmarys Pichardo has more. The U.S. military is changing. “Don’t Ask, Don’t Tell” has been repealed, more women are serving, and the structure of military families is changing. More than 700,000 U.S. children now have a parent who is deployed in the military. Last year, Oakland resident Alexis Hutchinson made headlines when she refused to go to Afghanistan, saying she couldn’t find adequate childcare for her then-10-month-old child. She received an “other than honorable” discharge from the military. The Department of Defense estimates that there are more than 70,000 single parents on active duty. That represents only about 5% of service members, but the consequences of their deployment are complicated. Vilmarys Pichardo has more. What can be done to support military families? FIRST LADY MICHELLE OBAMA: I want to talk about what family can and will mean for you as leaders of our Army and of our nation … Because our force is a force of families. And that’s become more clear even in just a generation. During Vietnam, most of our troops were young, single men, and most of those were married had spouses who stayed at home. But today more than half of our service members are married. Forty percent have two or more kids, and most military spouses are employed outside of the home. That’s what today’s military families look like. Obama’s Westpoint graduation speech follows last month’s announcement of the "Joining Forces" initiative, which calls on all Americans "to mobilize, take action and make a real commitment to supporting our military families.” That initiative is being spearheaded by the First Lady as well as the Vice President’s wife, Jill Biden. But help is also coming from the Department of Defense. To learn more about what the military is doing to support its families, KALW’s Holly Kernan called the DOD’s Office of Family Policy/Children & Youth and spoke with Director Barbara Thompson. Military families like Tracy Crawford’s are becoming more and more common, though the challenges they face remain. That’s being acknowledged by many people in our nation’s capitol, including First Lady Michelle Obama. In fact, it was the subject of her speech to the U.S. Military Academy’s Class of 2011 just a few days ago: FIRST LADY MICHELLE OBAMA: I want to talk about what family can and will mean for you as leaders of our Army and of our nation … Because our force is a force of families. And that’s become more clear even in just a generation. During Vietnam, most of our troops were young, single men, and most of those were married had spouses who stayed at home. But today more than half of our service members are married. Forty percent have two or more kids, and most military spouses are employed outside of the home. That’s what today’s military families look like. Obama’s Westpoint graduation speech follows last month’s announcement of the "Joining Forces" initiative, which calls on all Americans "to mobilize, take action and make a real commitment to supporting our military families.” That initiative is being spearheaded by the First Lady as well as the Vice President’s wife, Jill Biden. But help is also coming from the Department of Defense. To learn more about what the military is doing to support its families, KALW’s Holly Kernan called the DOD’s Office of Family Policy/Children & Youth and spoke with Director Barbara Thompson. Vic Oder was a rifle coach with the U.S. Marines for 12 years. He served during World War II and retired from the military in 1946. Now 82-years-old, he spends most of his time in the garden, growing thousands of dahlias every year. 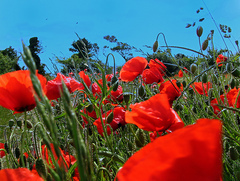 He talked to producer Liz Jones about his flowers and his service during the war. In which we hear the story of Revolutionary War hero, John Paul Jones, and the Civil War hero who found his coffin, 100 years after it had been lost in a Paris cememtary. Weeks after S. Spencer Scott interviewed Lavinia Gelineau about the loss of her husband Chris, a young soldier who was killed in Iraq, Lavinia herself was murdered by her abusive father. A mediation on life during wartime. Blunt Youth Radio Project producer S. Spencer Scott interviewed Lavinia Gelineau about the loss of her husband Chris, a young soldier who was recently killed in Iraq. Weeks later Lavinia Gelineau was murdered by her abusive father. Scott deftly weaves the two tragedies together in a thoughtful commentary about the cost of war. Versions of this feature originally aired on the Maine Public Broadcasting Network and on WMPG's Blunt in Portland, ME. Mike Beck discusses his song, "Amanda Comes Home," and getting to know a young soldier as she prepares for her mission in Iraq. 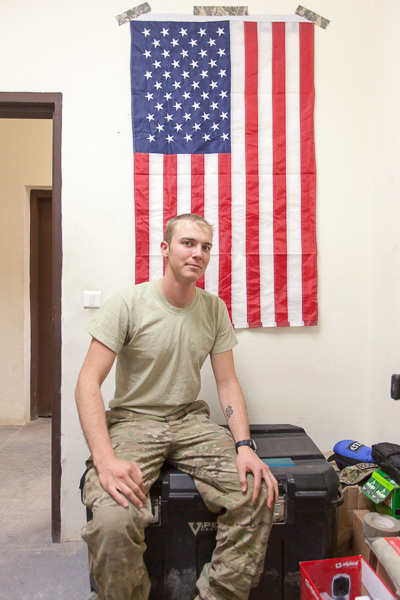 This series asks U.S. soldiers serving in Afghanistan what they have to carry around with them every day—from the physical to the emotional. Portraits of Soldiers, war and Iraq through the music they listen too on their i-pods. Veterans share their experiences. STATION WARNING: UNBLEEPED swears listed in content advisory. It is not only the people from away who ask silly questions. "Can I take this road to Rockland?" "Far's I'm concerned you can." Take a spin in a Humvee, clear a room of bad guys, and hear from soldiers about how they’re preparing to leave for war. A thousand members of the Wyoming Army National Guard leave in mid-April for Fort Hood, Texas, and soon after for Kuwait and Iraq. There’s a lot to do before they go: everything from drafting a will to finding people to care for their children, their aging parents, or their pets. There’s also more training to do. Here, we take a spin in a Humvee, clear a room of bad guys, and hear from soldiers about how they're preparing to leave. The United States Military Academy's Cadet First Captain Austin Welch shares how the loss of a dear friend changed not only his perspective on Memorial Day but also on his future career in the military.